I’m in Kuala Lumpur, Malaysia for a few days to visit friends. If you haven’t been to KL it’s worth a quick visit, but I wouldn’t recommend spending more than perhaps three days here. 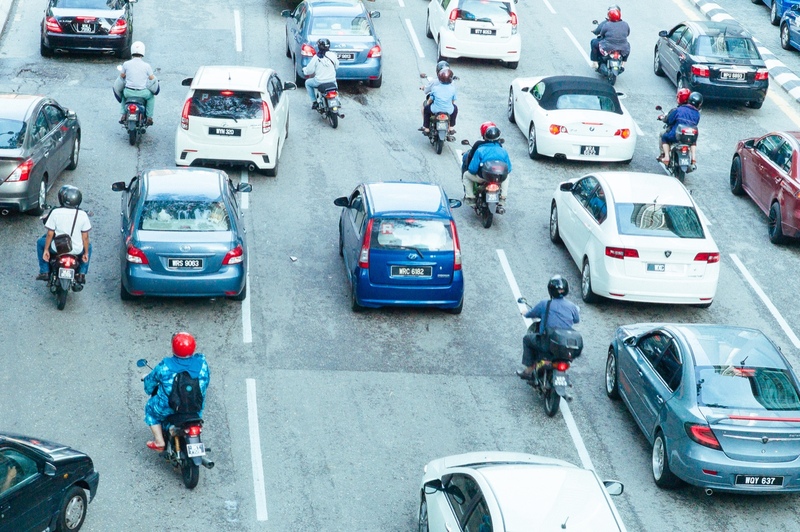 I don’t like to say this but Kuala Lumpur (at least the core of the city) feels like culturally barren place full of shopping malls, hotels, and skyscrapers. 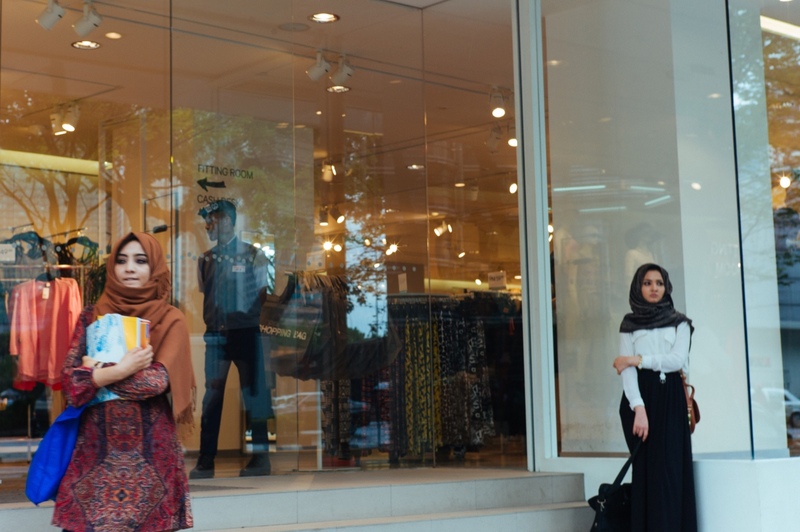 Out shopping in Kuala Lumpur. Inside the enormous KLCC shopping mall at the base of the Petronas Towers. It’s so hot here, and there’s so much traffic, that people often walk between buildings on air conditoned and elevated walkways. 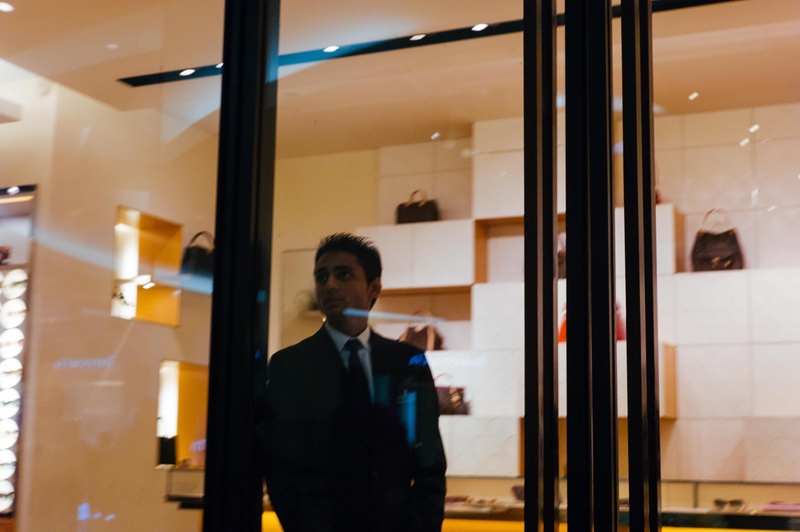 As a result most of the businesses are in shopping malls instead of the streets, which makes walking through the core of the city either a trip through a shopping mall or a long steamy walk outside where there might be 100 meters between you and the nearest business. In many ways it reminds me of part of Beijing or Northern Virginia. 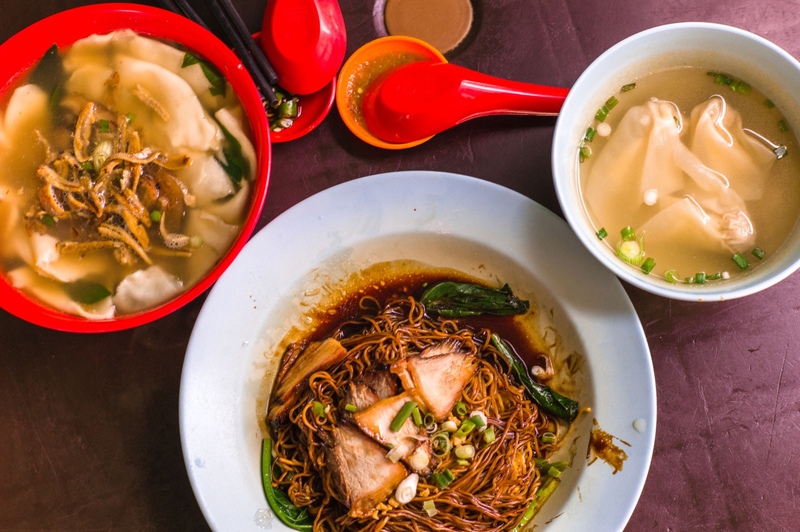 Street lunch in Kuala Lumpur. About $5. 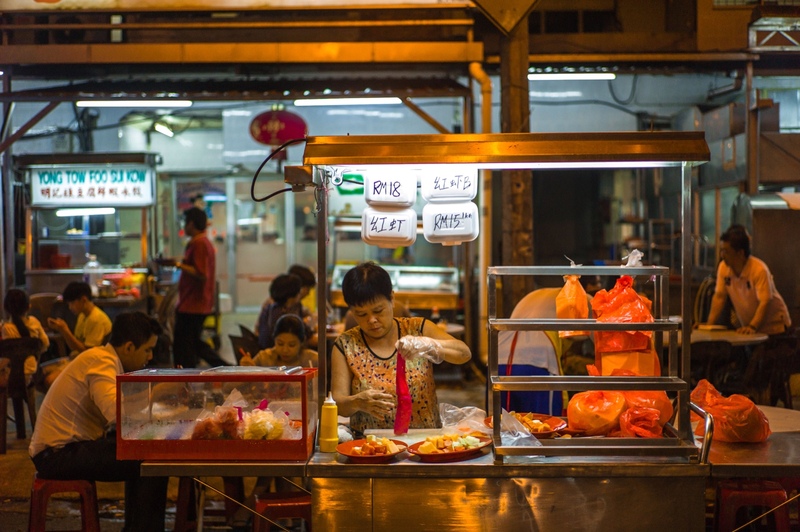 The appeal of the street food is more than just eating it. I also like watching people cook it. 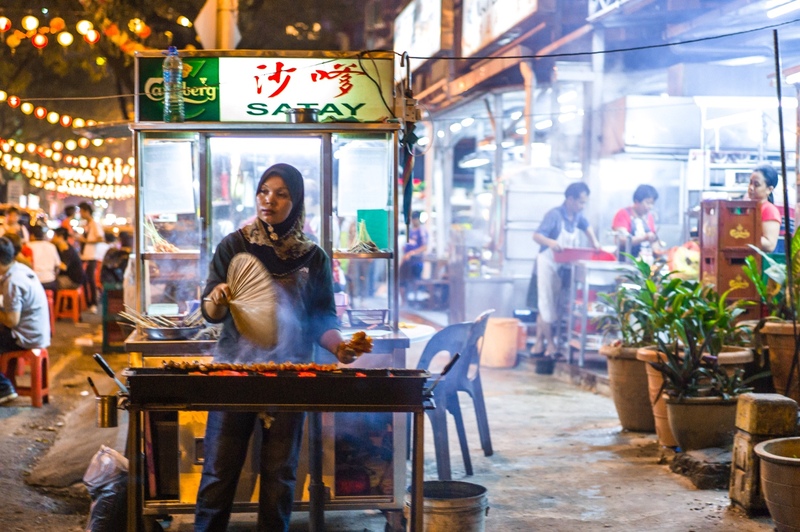 Cooking street food on the Jalan Alor street. Kuala Lumpur, Malaysia. 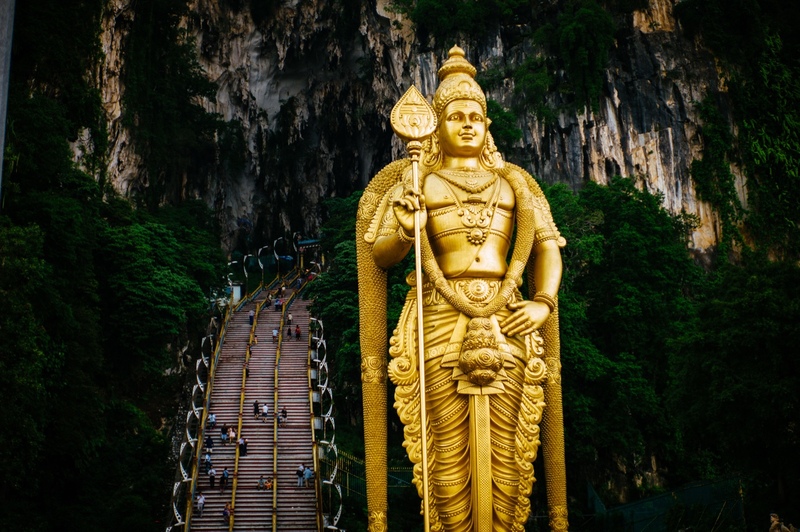 Outside of the city, the Batu Caves are almost an hour journey but let you see this stunningly large gold staute. Gold statue outside the Batu Caves, Indonesia. 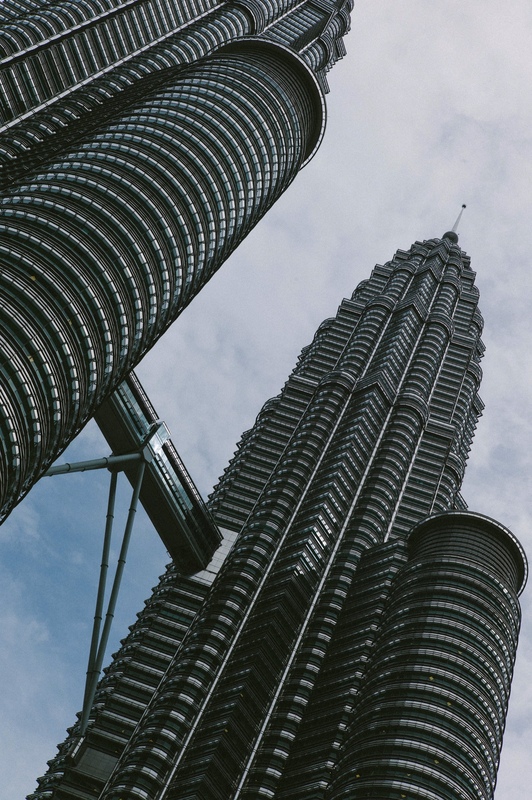 The Petronas Towers. Kuala Lumpur, Malaysia. Note: These are older photos taken earlier in the year. I’ve been out hanging out with friends and having fun, not using the camera on this trip. They were originally featured in my May 2014 notes on malaysia.